Sometimes accidents happen. You may be playing a friendly pick-up game of basketball, when an accident occurs and your tooth gets knocked out. Don’t worry! There’s a solution. You don’t have to go the rest of your life with a gap in your smile. 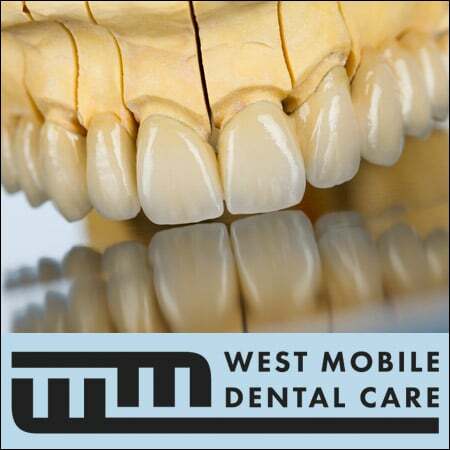 Instead, you can consider replacement options like an implant or a dental bridge. A dental bridge (or a “fixed bridge”) is a permanent installation that bridges the gap created by one or more lost teeth. A false tooth is placed in the space created by the missing tooth and it is fused to crowns that are placed on the adjacent teeth. WHAT ISSUES DO DENTAL BRIDGES RESOLVE? There are a lot of issues that may occur from not having teeth replaced. Upon the loss of a tooth the adjacent teeth may begin to shift or migrate, thereby possibly causing changes to the way that the top and bottom teeth bite together. This alteration in your bite pattern can sometimes lead to jaw joint, or TMJ, pain. The space created by a missing tooth can create difficulty in properly cleaning the sides of the adjacent teeth, which can lead to tooth decay or gum disease. Finally, the extraction of a tooth can cause bone loss that creates insufficient lip, cheek, and soft tissue support, which can effect the appearance of your face. We Can Help You With The Smile You Deserve! Call (251) 666-3600 To Learn About Our Options for Missing Teeth. There are a few different options for the material in which dental bridges are made from. One of the most popular is porcelain, but other options include metal or gold. Often a dentist will recommend a more durable material when replacing back teeth due to the increased chewing forces in the posterior aspect of the mouth. Missing front teeth are often restored with porcelain, which is highly aesthetic and natural in appearance. In certain circumstances, a dental implant may be necessary to support a bridge and make sure that it stays in place. This is especially common for bridges that span the length of multiple gaps. Dental implants require surgery to place, as they are installed into the jaw itself. One of the positives of having implants done is the lack of a need to be supported by surrounding teeth. This will likely be a lengthier and more in-depth process than a standard fixed bridge, but it can be extremely beneficial—especially for the preservation of the jawbone. The first step of having your dental bridge installed, just like with any dental procedure, is visiting your dentist for an evaluation. There they will speak with you about your options, and what the best way is to approach eliminating the gap in your teeth. If your dentist decides to utilize a fixed bridge, then your dentist will begin to work on reshaping your teeth to allow the bridge to properly fit. After this is completed, an impression is taken and is sent to a lab to have your bridge created custom to fit your mouth. More than likely the dentist or assistant will fabricate a custom made temporary bridge that is placed while your case is in the lab. Once your bridge is completed in the lab, your dentist will check to make sure that the bridge fits properly, ensuring that it seals the teeth and creates a comfortable and effective bite with the opposing teeth. The bridge will then be permanently cemented in your mouth. Call (251) 666-3600 To Learn About Missing Teeth Options. What Do I Do If I Think I Need a Dental Bridge? If you have a tooth fall out or get knocked out, you need to attend to the damage as soon as possible. If it is only part of the tooth, you may be able to have a bonding, a veneer or a crown installed. If the tooth or teeth are completely missing, though, you’ll need to consider a replacement option such as a dental bridge. Ultimately, the proper treatment is up to you and your dentist to decide what best suits your needs. As soon as your tooth or teeth are damaged, contact your dentist and set up an appointment for an evaluation. Also ask them if there is any additional care that you may need to consider between the time you schedule your appointment and the appointment itself. Do not wait until your teeth start to migrate, your gums get infected or something else goes wrong before you contact your dentist! Instead, be proactive and give your dentist adequate time to respond to your dental concerns. With proper care before, after and during your dental procedure, your teeth, jaw and mouth will return to normal. After a while, you probably won’t even notice the bridge! Do I Need to Take Extra Care of My Dental Bridge? While your dental bridge may require a slight alteration in your flossing technique, it may not take any more time or effort than the manner in which you are accustomed to already cleaning your teeth. It is extremely important that you keep up with that you continue to brush and floss around the bridge as plaque and tartar buildup can cause gum irritation and cavities. Don’t slack on your dental care! Make sure you are properly brushing, flossing and washing out your mouth every day.